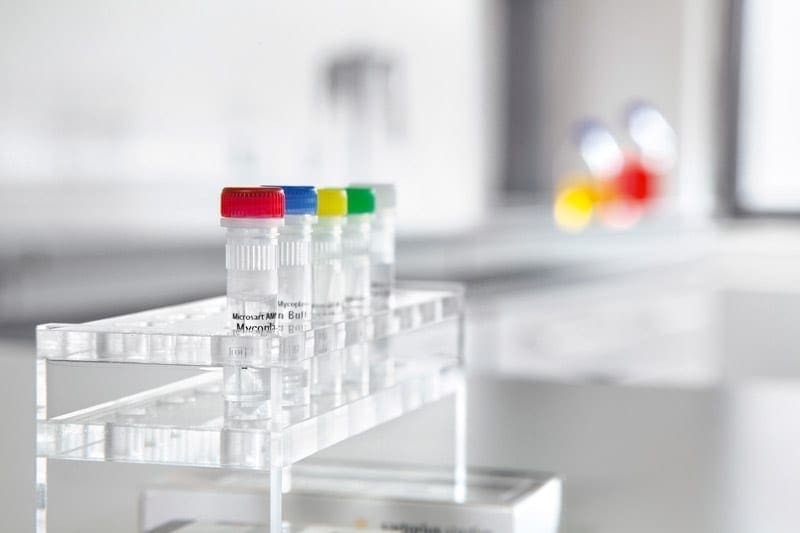 As part of a successful antibody discovery program, you want to select healthy clones that express high levels of your target antigen to optimize your downstream screens. 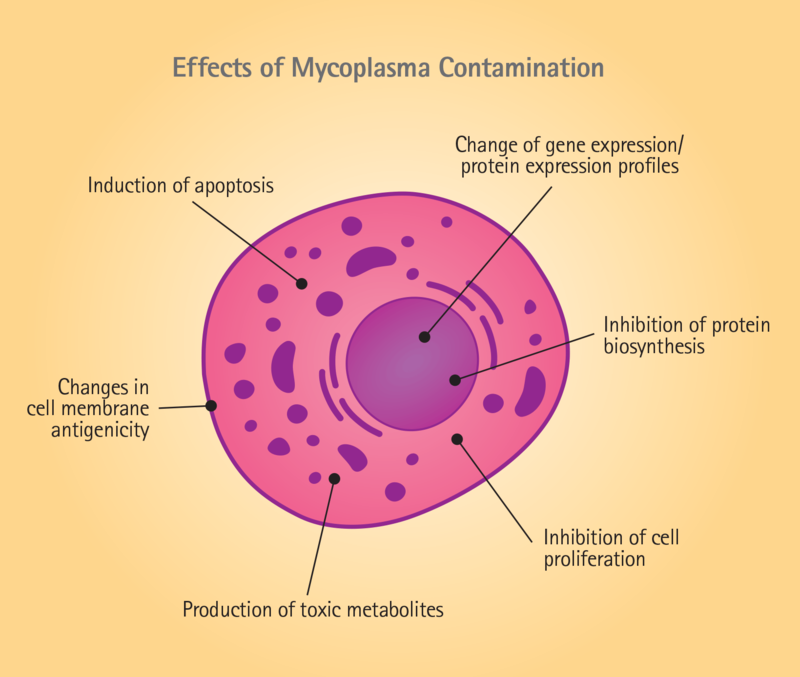 Mycoplasma contamination interferes with your cells’ metabolism, can affect the properties of your produced antibody, and may adversely affect your success long-term. Mycoplasma are small (0.15 µm-0.3 µm) bacteria with no cell wall and a flexible membrane. These characteristics of Mycoplasma mean that contamination is subtle. Their lack of a cell wall and flexible membranes make them difficult to detect using microscopes, and their small size allows them to proliferate to high concentration within mammalian cell culture without any noticeable turbidity or other change in cell culture appearance. Estimates suggest that between 5% and 30% of the world’s cell lines may be contaminated with one or more of the several known species of Mycoplasma. Mycoplasma contamination is difficult to avoid because the major sources of contamination are lab personnel, standard cell culture components (for instance, fetal and newborn bovine serum and swine-derived trypsin), and cross-contamination from other cell cultures. Contamination of your culture may not be apparent until your cell line is lost or your antibody is tested. What is happening in your cell culture that you can’t see? 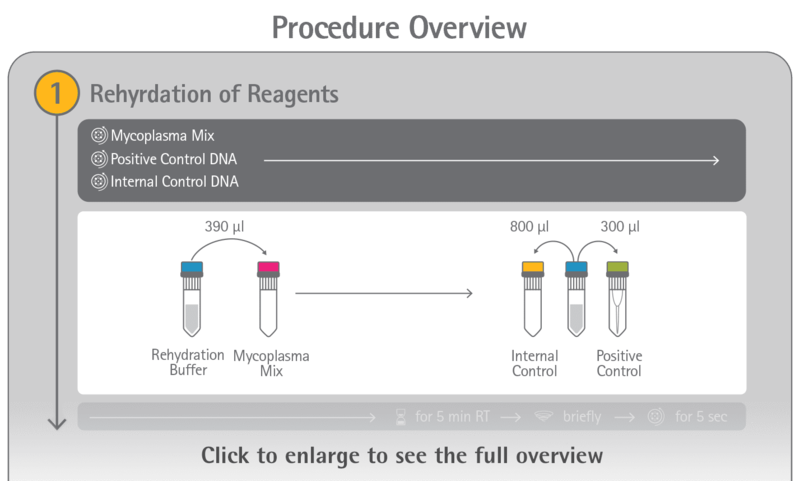 Cross-contamination from other contaminated cell lines is one of the main sources of mycoplasma contamination. Elimination of mycoplasma contamination from a culture is almost impossible; mycoplasma is resistant to most antibiotics and can survive liquid nitrogen without cryopreservation techniques, contaminating other cells stored in liquid nitrogen. Sartorius also offers non infectius validation standards for several mycoplasma species.